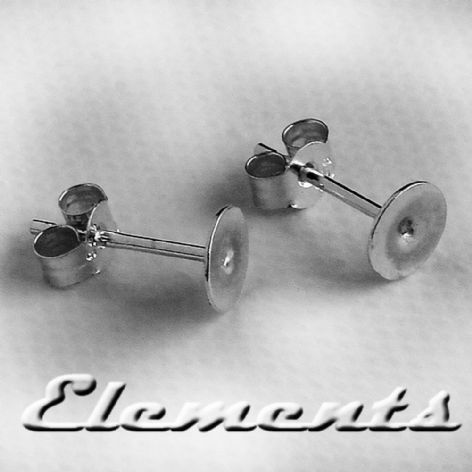 Solid Sterling 925 Silver Flat Disc Earring Fittings! The Sterling Silver flat disc & post earring fittings are used to make stud earrings by gluing or soldering on various items. The flat pad disc will provide a large surface for the glue to adhere, making fittings ideal for repairing broken studs. 1, 3 or 5 Pairs of flat disc & post earring fittingswith scrolls! Disc sizes: 3mm, 5mm, 7mm or 9mm.